It is not difficult. Ten thousand steps daily -this is the recommendation for health problems due to lack of movement or an ageing body. The problems are mainly obesity and cardiovascular diseases. It is confirmed for example by a study from Great Britain that evaluated this natural way of movement. The research found that only 10% of population in industrialized countries undertake sufficient movement. "An adult man walks only 1500m daily and this is really not too much", says the specialist in physical training Dr. Pavel Mitáš. To maintain a healthy condition one should walk at least seven to eight kilometres, which is about a 100-minute walk. The advantage is that walking is possible for almost everybody. And this is a very natural way of movement which does not harm joint and ligaments, and causes no major injuries. Walking does not discourage overweight people or people with poor movement range. What can walking positively affect? Except for the fact that it increases the energetic output, it can contribute to body weight loss or maintenance, and it has a positive effect on blood lipids. They take part in atherosclerosis or obstruction of vessels. "Moreover, the blood sugar and blood pressure levels are reduced and on the contrary the resistance against stress and common daily load is increased," says Pavel Mitáš. He thinks that people who walk a lot can maintain their movement ability until old age. At the same time they have a lower risk of fractures. They are often more skilful but also do not suffer from osteoporosis because their bones are regularly loaded and hence stronger. Of course, for most people one cannot expect that they would walk their daily quota during their routine activities. If the positive effect of healthy walking is to show it is necessary to move steadily for at least 30 to 40 minutes. In order for this activity to be worthwhile it is also good to move and keep the pulse at a certain level. Basically, you should be a little breathless but not too much, i.e. not so much that you are not able to speak. At a higher pulse rate your heart is too strained. Substances that cause you to feel unwell get into your muscles and your body aches the next day. Then, the overloading movement is not beneficial but may cause harm. A proper walking technique should be managed to achieve excellence. In first place is fluidity. "It is ensured by maintaining the same length of your steps. When your steps are not the same you load your legs differently," explains Pavel Mitáš. Your walking should be lively, which causes your spine and joints to be released. How can it be achieved? When you walk you first step on your heel and then gradually take the focal point of your body forward towards the tip. At the same time the heel is released. To exercise small muscles of your leg it is recommended to walk in suitable terrain barefoot. In other places, however, your shoes are needed. How can food supplements help? 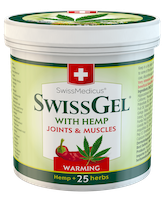 One of the products that can help your joints and muscles during increased activity is a unique food supplement called ArthroMedicus.Apart from glucosamine sulphate and chondroitin sulphate it also contains a high number of bioactive substances. 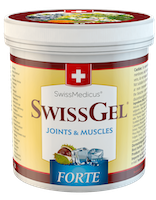 As suggested by its name, it is the optimal and complex joint nutrition, which contributes to effective and safe care of the locomotive system. A balanced herbal complex of 11 herbs provides the above standard care which is provided exclusively by this product and none of the currently available food supplements sold in the pharmacies. 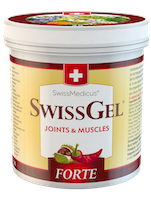 ArthroMedicus protects, provides nutrition and regenerates joint cartilage, and reduces rigidity of joints, ligaments and tendons.